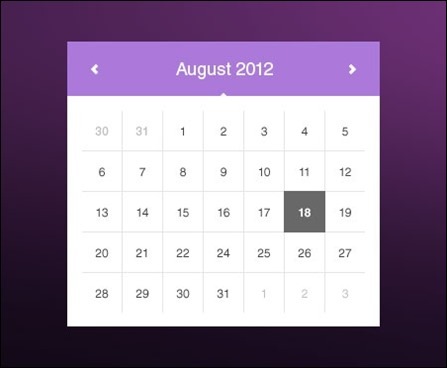 Calendars and date pickers have many use cases in web application design e.g. in situations where users need to input dates or date ranges. While you can start designing from scratch, it is often a good idea to look for inspiration and even ready to use design elements. As an example, there are many great free calendar and date picker PSD designs available for download. Picking the right one for your project may speed up things significantly. Check out the collection of free calendar and date picker PSD files below. Another and often much quicker solutions is to use a jQuery date picker or jQuery calendar solution. Hope you will find a PSD you can use, and please help me by sharing the article with your friends and coworkers.